January 29 & 30th are going to be two very exciting days for us. The talented JT Thomas is coming to coach in our studio for two days! “…Jennifer “JT” Thomas has been dancing in various forms since the age of 5. 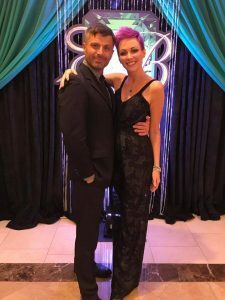 Her studies include ballet, jazz, tap, acrobatics and all forms of partnership/ballroom dance, making her one of the most well-rounded instructors and competitors in the industry. She earned a Bachelors of Fine Arts degree with an emphasis in dance at the University of Arizona in 1996 and has since competed and performed throughout the United States and Great Britain. Since late 2013, JT has been a dance Director for one of the top studios in the nation, National Dance Clubs. 14 years Pro-Am competition experience in all four styles – (Standard, Latin, Smooth and Rhythm) as well as theatrical 2002.